We spend half our time in our living room. Our house doesn't have a den so our LIVING room really lives up to its name. Since we spend so much time in there I want this space to be super comfortable and functional. 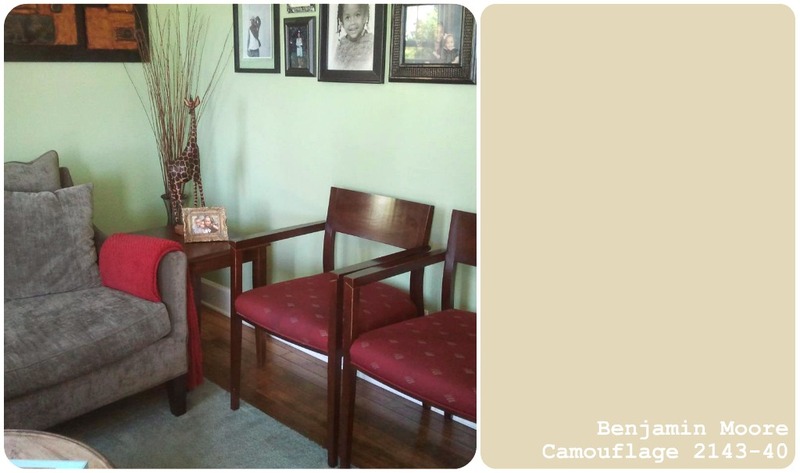 My first home goal for this year is to lighten up our living space through paint. I want one cohesive color throughout the living room. When we first moved in almost 5 years ago the whole house was painted the same off-white color. 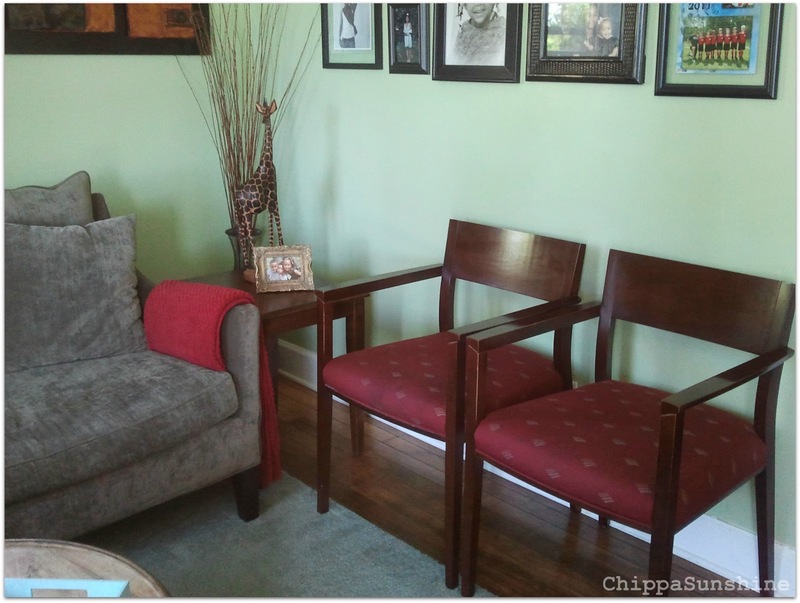 We started adding color to our home in almost every room before we even touched the living room. I could not pick a color for the life of me. Standing in front of hundreds of swatches is somewhat mind boggling and I could not make a decision. My husband tired of my indecisiveness picked two colors for the living room, he wanted an accent wall. The green paint went on every wall except for the TV wall. The TV wall was the cottonwood. The cottonwood paint swatch above is not reading correct on the computer. That color is like a deep tan kind of like khaki pants. 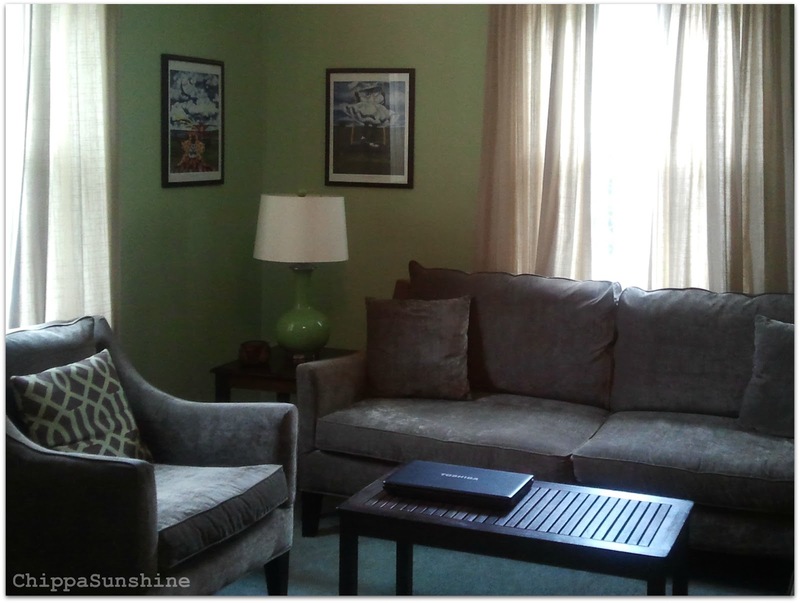 Here are the before pictures of my living room. I can not find a picture of the TV wall anywhere but I do have a picture that shows the colors side by side. So here she blows! These are my bankers chairs, I brought them from Habitat for Humanity. I really believe they came from Bank of America because of the flags. I do plan on recovering them with some great fabric I found. This is our information station. It has a place for our keys, I use the bowl but my husband uses the magnetic key holder. 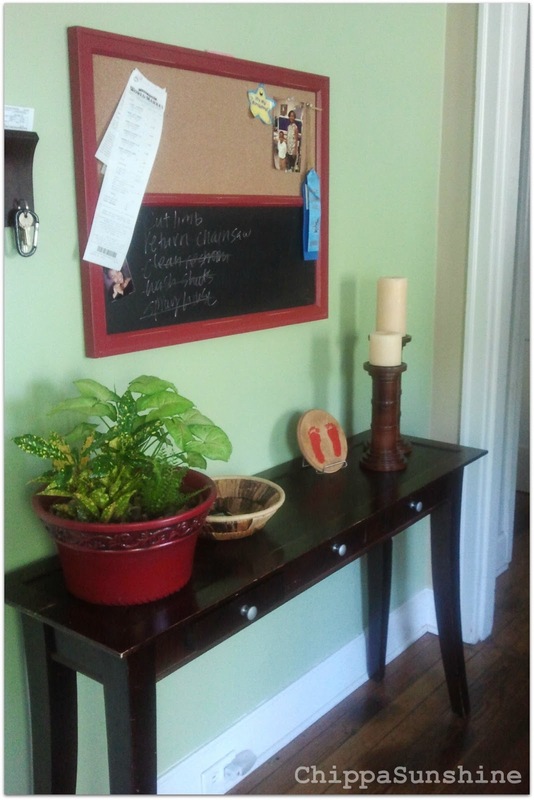 I got this pottery barn bulletin board at a yard sale though I love it it won't be making it back into the living room. 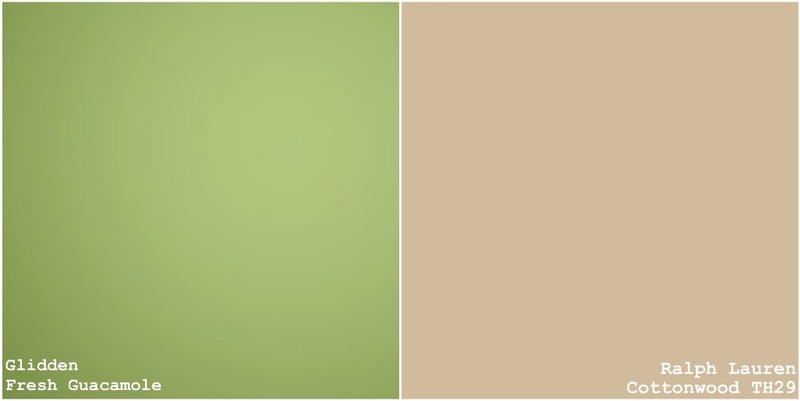 Here is the RL cottonwood color on our TV wall. Do you see our little friend that came in to say hi. I didn't appreciate his friendliness. I screamed and stayed far away until Dr. J came home! And there is our living room. If you follow me on instagram you may know I actually started painting in December. Well I just finished this week. This has been the worlds longest paint job! :) I am rearranging the furniture, trying to find the best setup and rehanging pictures. See ya soon! Thanks! I am going to bust out the camera this weekend and do an afters post for next week. 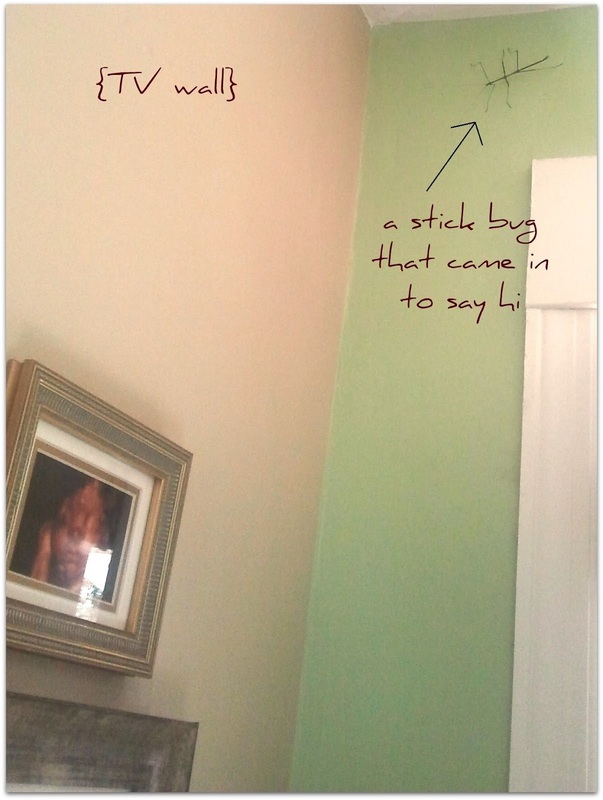 I'm going to show the after shot next week and that is a stick bug. It looks just like a stick but with legs! Yes I would have ran from it lol. The house looks great and love the colors. I can't believe the size of that stick bug! He's a branch! Love the shade of green you went with. Very cozy.